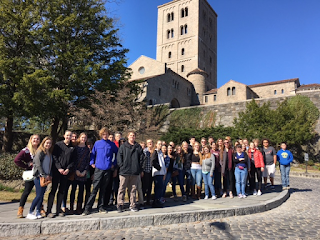 On March 29, 38 Cambridge Central School Latin II-AP students ventured to the Cloisters Museum as well as the Metropolitan Museum of Art, both in New York City. Students are grateful to the Classical Association of the Atlantic States, which provided a grant of $600 to subsidize the transportation and admissions expenses of the trip. 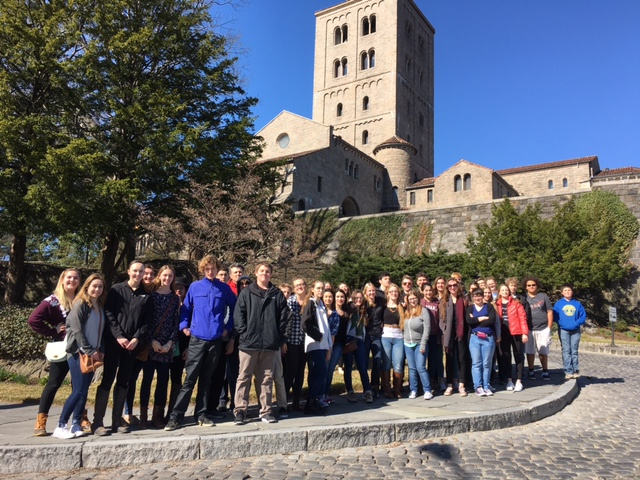 They received a guided tour of the Cloisters, which has works of art and artifacts from Late Antiquity as well as the Medieval and early Renaissance periods. Most of these are massively influenced by Roman culture. Particularly featured on the tour was architecture, especially that of Romanesque and Gothic periods. 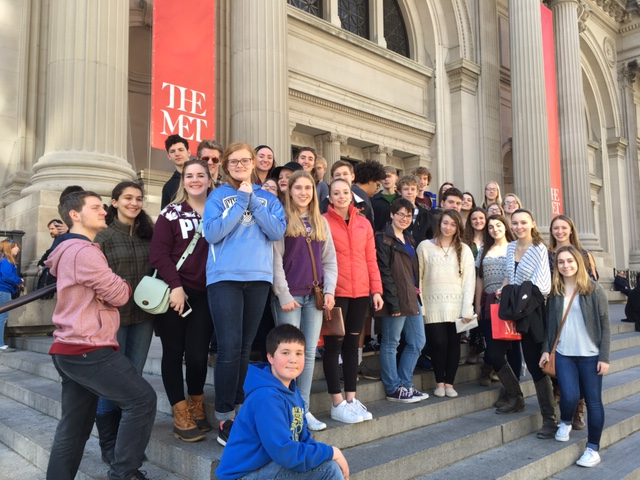 Next the group visited the Greek, Roman, and Egyptian galleries of the Metropolitan Museum of Art. In Latin IV and AP this year students are reading Caesar. Also, they read Stacy Schiff’s Cleopatra: A Life, so a visit to these galleries, which are indispensable in understanding Caesar and the Romans, are also crucial in reimagining Cleopatra and her realm. Jill Crooker will be facilitating the following AP workshops this summer. C Week: AP LATIN: What does the Aeneid have to do with Bellum Gallicum? Scroll down for more information on each workshop.